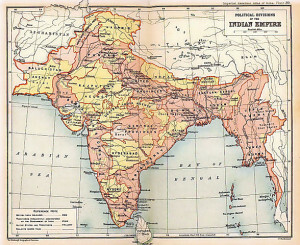 British Indian Empire 1909 Imperial Gazetteer of India by Edinburgh Geographical Institute; J. G. Bartholomew and Sons. – Oxford University Press, 1909. Research: British India Ancestors is the newest course from The National Institute for Genealogical Studies. 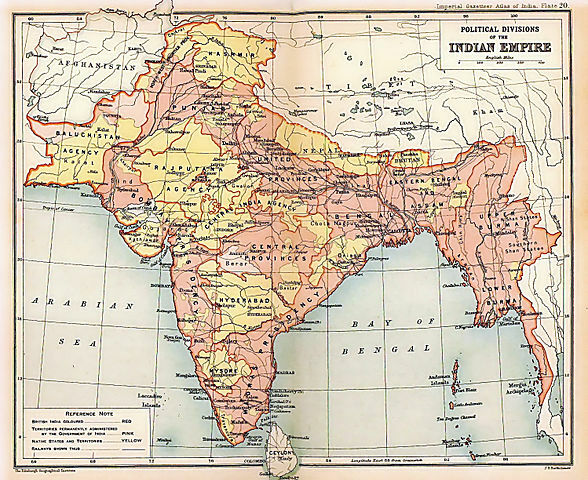 Written by genealogist, writer, and historical researcher Emma Jolly, this course gives an introduction to researching ancestors in India, during the time of British involvement and rule. The course focuses mainly on British ancestors, but includes records that are relevant to other Europeans in India, as well as Anglo-Indians. To learn more and register for Research: British India Ancestors, see our website.